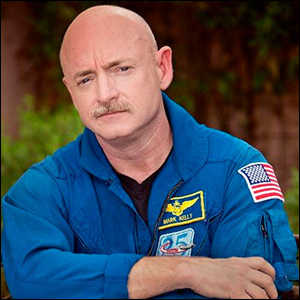 Retired astronaut Mark Kelly, a Democrat, announced his candidacy for the party nomination for the Arizona Senate. 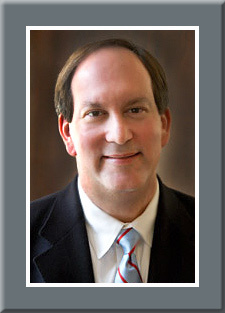 Feb. 15, 2019 — Intrigue is already building in the Arizona US Senate special election. On Tuesday, retired astronaut Mark Kelly, a Democrat, announced his candidacy for the party nomination. The next day, he claimed more than $600,000 had come pouring into his campaign literally overnight after making his declaration. Kelly, you remember, is the husband of former Rep. Gabrielle Giffords (D-Tucson) who was tragically shot in 2011 but miraculously survived a bullet passing through her head. While many might take his brandishing the financial number as signaling appointed Republican Sen. Martha McSally that he is going to run a tough and well financed campaign, at this point the move is likely first directed toward his potential Democratic opponent. US Rep. Ruben Gallego (D-Phoenix) was first elected in 2014 to replace then-Rep. Ed Pastor (D-Phoenix) who retired. Rep. Gallego has publicly stated on several occasions that he is considering running for the Senate in 2020. In fact, on Kelly’s announcement day, the congressman tweeted a message saying that he is still interested in running and will decide shortly. According to Arizona sources, Gallego would like to hold his announcement until the Phoenix mayoral special election concludes next month. A special election is necessitated for that office because then-Phoenix Mayor Greg Stanton (D) was elected to succeed Kyrsten Sinema in the 9th Congressional District seat. Jan. 17, 2019 — The 2020 Senate election cycle features 34 races instead of 33 because of the Arizona special, and this time it is the Republicans who must defend the preponderance of seats. In 2018, Democrats held 26 of the 35 seats up for election; in this cycle, Republicans must protect 22 of the 34 Senate positions. Republicans are first risking two open seats, those of Sen. Pat Roberts in Kansas and Lamar Alexander of Tennessee. At this point, both should remain in the GOP column. They also face a slew of competitive races in as many as eight incumbent states. Democrats, on the other hand, must defend in one highly competitive campaign, that of Sen. Doug Jones in Alabama, and a potentially viable contest in Minnesota. But the most vulnerable Republican races will attract serious political attention. Appointed Sen. Martha McSally (AZ), Sen. Cory Gardner (CO), and North Carolina first term incumbent Thom Tillis are facing difficult election or re-election campaigns, in addition to Sen. Jones. Martha McSally lost the 2018 Arizona Senate race to new Sen. Kyrsten Sinema (D) by 55,900 votes of more than 2.384 million ballots cast, or a margin of 2.4 percentage points. This, however, in the same election where Republican Gov. Doug Ducey scored a strong 56-42 percent re-election victory.